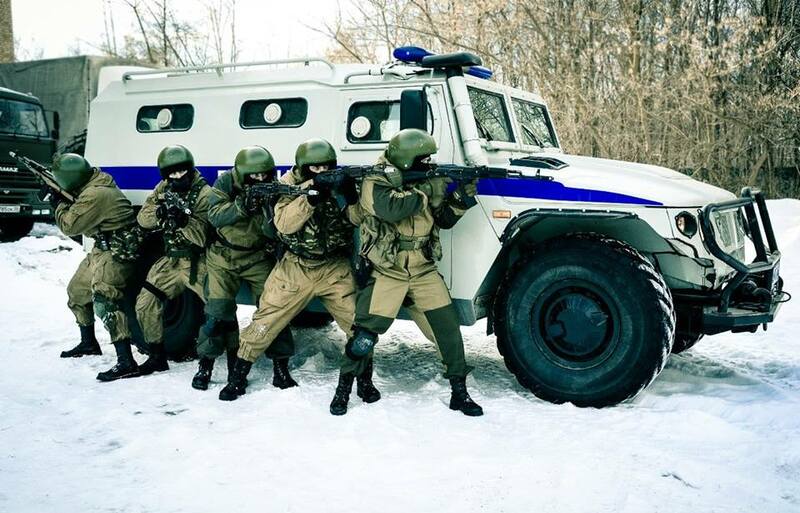 After making my other spetsnaz figures, I had the spares left over from them which I was thinking could be used for another possible kitbash. But then I realised I would properly end up building up a large store of spare parts, some of which may never get used. 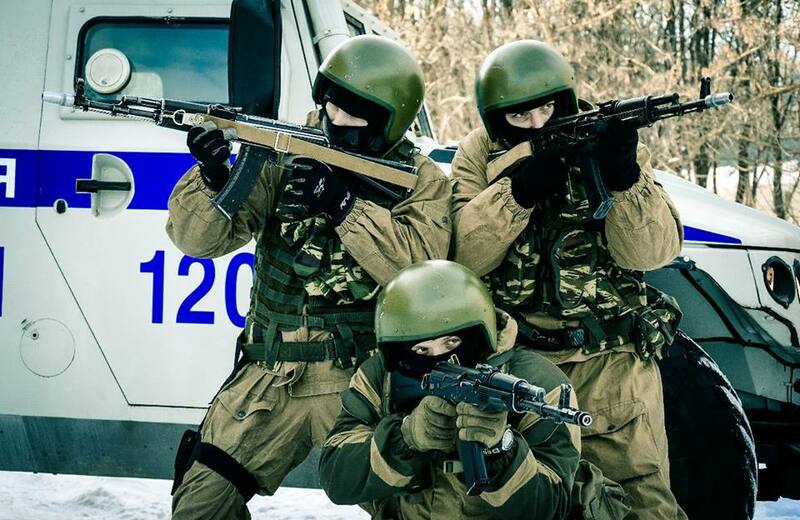 So I have gone back to just buying single boxed figure's instead, so this kitbash is based on the reference picture on the right, and I used the DAM FSB Spetsnaz Vympel boxed figure for it. 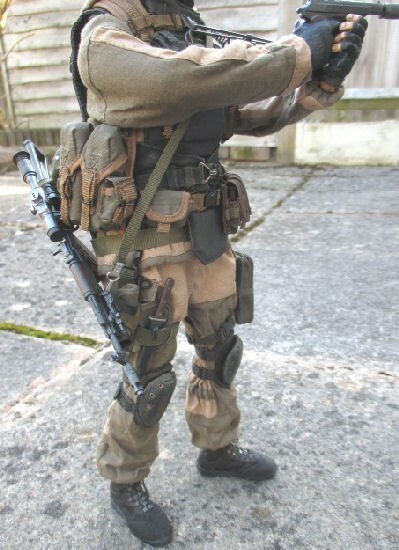 Although after looking at some of my reference pictures, I have had to buy some extra parts for this figure. 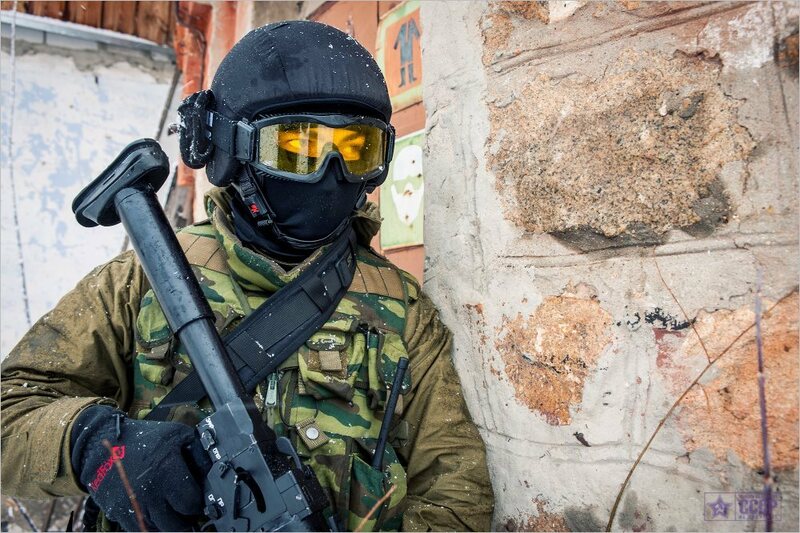 Such as a water bottle, 3 cell ammunition pouch, rolled cape, knife as well as a different telescopic sight for the rifle. On the OSW forum I found a review about the webbing from this set. 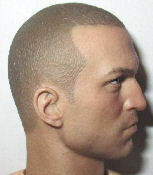 Another excellent source of information about this boxed figure, came from a review of it on the Onsixthscale website. Along with some instructions in it about how to assemble the webbing, which I used with the document that came with the figure. 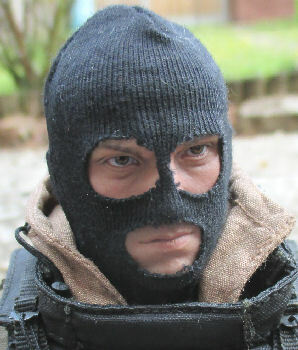 The headsculpt for this figure is shown in these pictures, as I am using the balaclava with this figure I have not given it a wash of pastel chalks. Mainly because it would not be seen when the figure is finished. 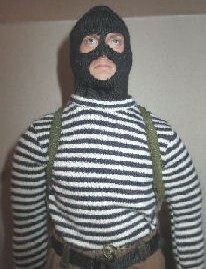 Picture 4. shows the balaclava, shirt and trousers fitted to the figure, Picture 5. shows the braces fitted to hold the trousers in place, with one of the loops put through the trouser strap and then fitted to the button. 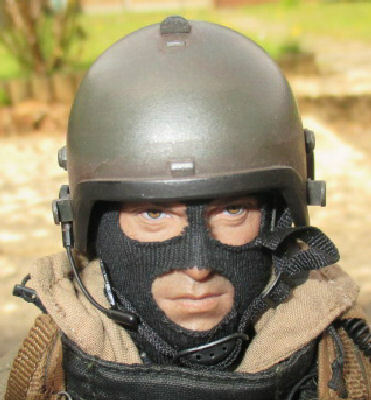 The uniform in Picture 6. for this figure is similar to the one's I used for my previous Spetsnaz figure's, where I used a KGB Hobby uniform. With this DAM uniform I have found that it is made of a thinner material, which helps to get the cloth folds better positioned. 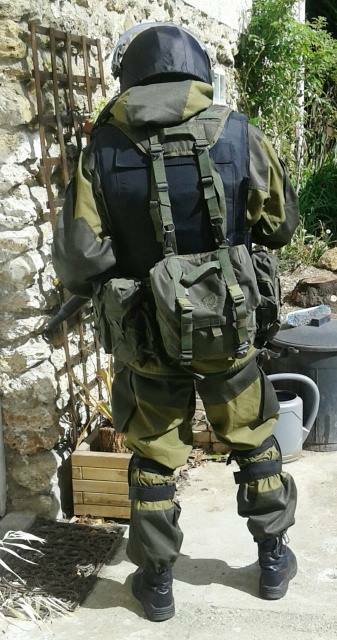 With the uniform the first thing I did was to give it a wash with some hot water and clothes washing liquid in a jug, the purpose of this is to lose the stiffness of the material. It was then put onto the figure to dry so that I could get the creases set into position. 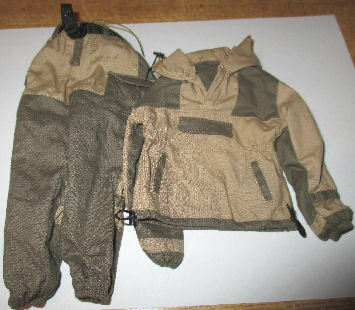 I have found in Picture 7. that the uniform washing and the additional Brown pastel wash I have given it, has only changed the Khaki colour slightly. But I am happy with the creases in it, as I has lost the new look it had fresh from the box. 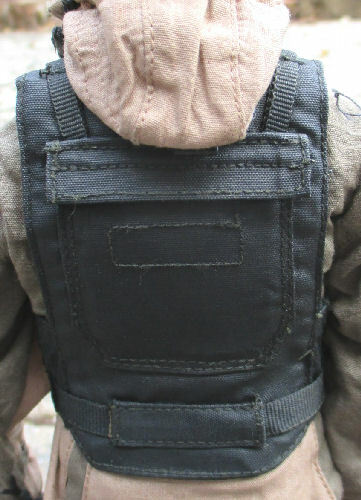 With the re-coloured Korund VM armour vest on the figure, I have another page here about how I did it. 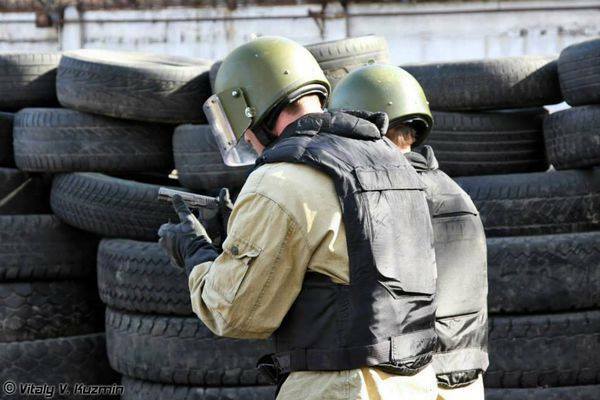 And I have noticed in Pictures 8. & 9. that the velcro parts need to be touched up with the shoe cream again after I have been handling it. 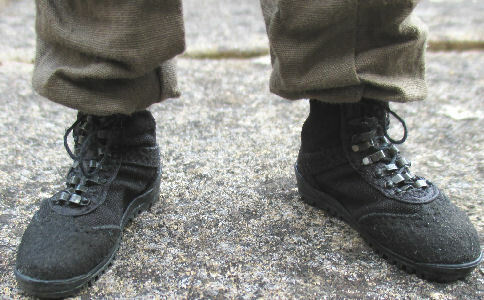 Picture 10. shows the re-laced boots, Picture 11. is of the knee pads that have had the same pastel treatment as the other items I have used. 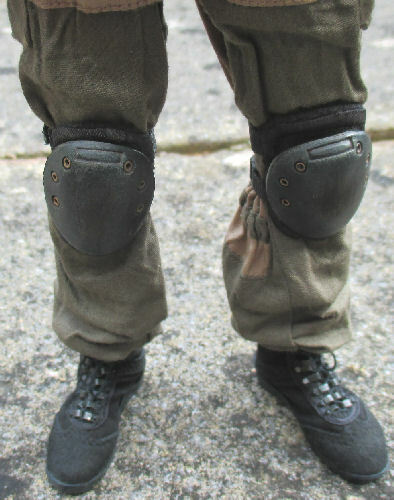 I have also used some sandpaper to add wear marks on the centres of the knee pads, and Picture 12. is the head and balaclava. 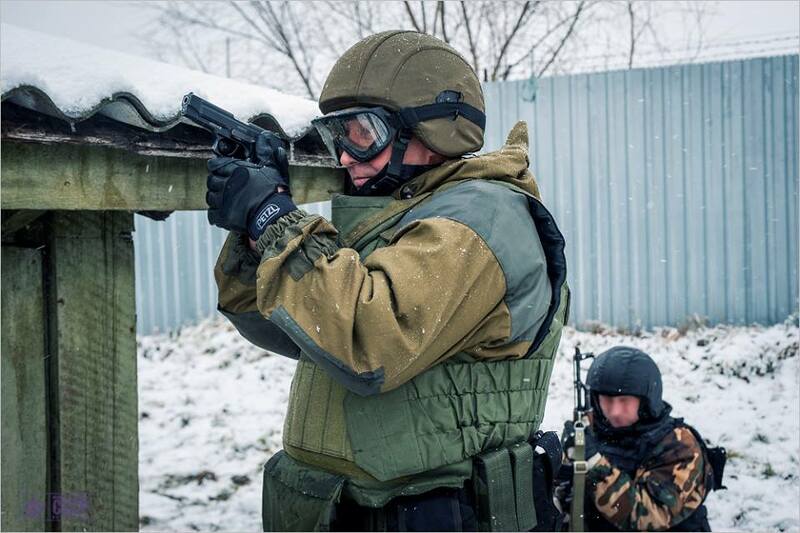 Note: With the balaclava, I found that I had to take care fitting the armour vest over it and the head, as the vest is a tight fit and it could tear or stretch the part of the balaclava that covers the figure's nose. 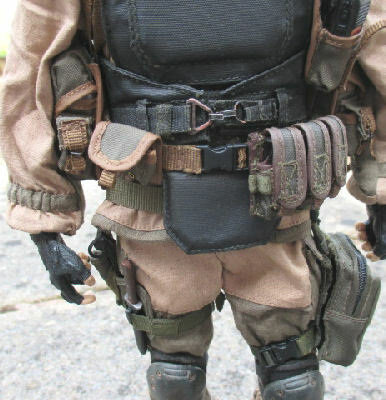 In Picture 13. above it shows the belt pouches I am using with my figure, they have all been given a wash of Brown pastel chalks. 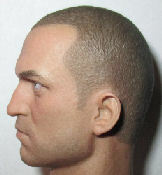 I also found in the review I read about this figure. 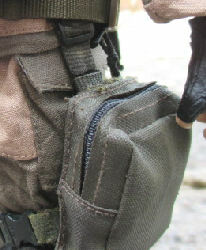 That the supplied Brown pleather pouch for the pistol magazines is too small for them, so I have bought another 3 cell pouch (1st pouch on the left), plus it can actually hold the magazines. I have also added the water bottle and pouch (fourth from the left) to the set. The next step before assembling the pouches onto the belt, is to give them a brush over with some Tamiya Light Sand weathering powder to add highlights. Picture 14. is the instruction sheet from the boxed figure, showing how to assemble the pouches on the belt. I have used this in co-operation with the review of it on the Onsixthscale website. The helmet has like the pouches had a Brown pastel chalk wash, as well as a drybrush of Tamiya Silver powder along the edges of the metal parts. 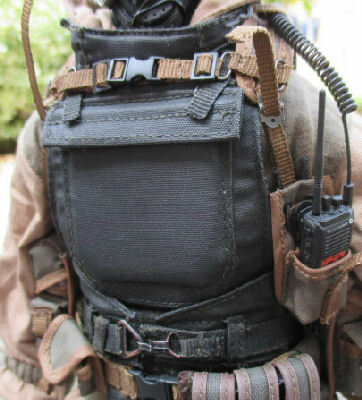 Another thing I have noticed with the figure is the supplied radio in Picture 7. which has the handset, the microphone as well as the pouch. 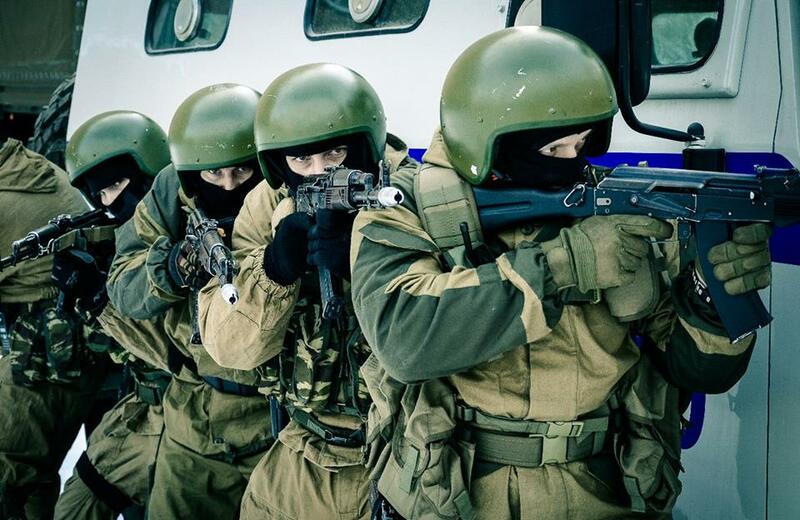 But I have also noticed that the helmet has a boom microphone attached to it, so I got to wondering about a spare DAM Beslan radio unit in Picture 8. I have in my spares box. As this radio unit has just the handset and a cable, which I bought by accident. 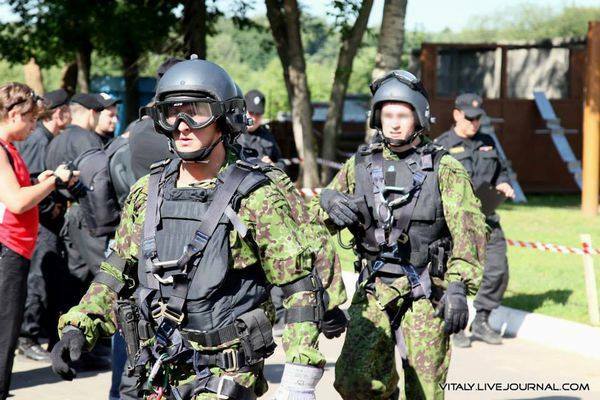 So then I got to wondering if I could use this with the Vympel helmet. 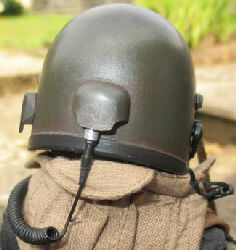 Then I realised that there was no hole in the back of the helmet, so in Picture 9. 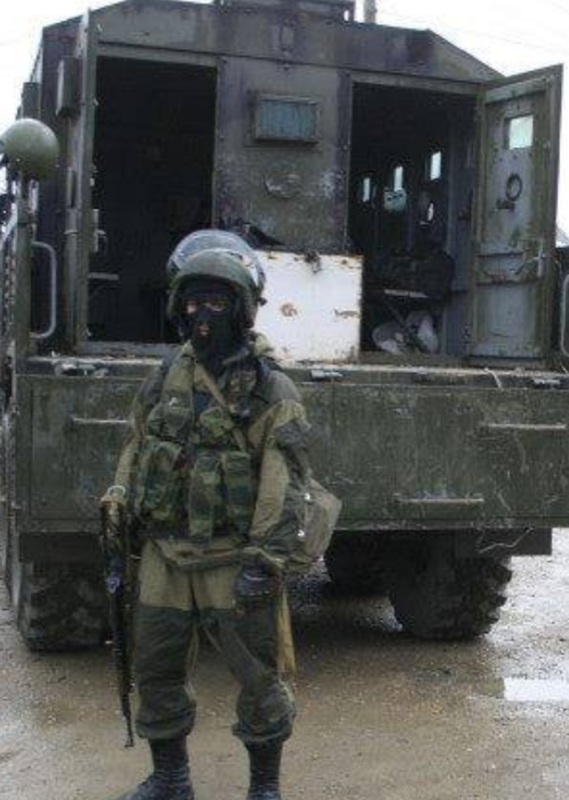 I drilled a small hole which allowed me to fit the Beslan radio and cable, with the handset fitted in a belt pouch. I have also repainted the radio cable with Matt Black, as it looked too new to me. 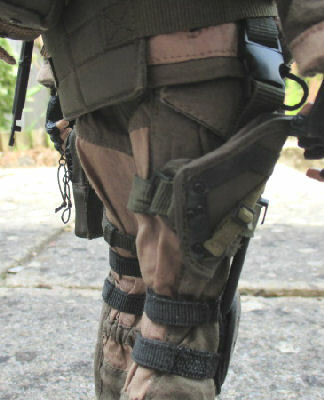 I have also made a separate Vympel Leg Pouch for my figure, similar to the one made by dantte on the OSW forum. Which is based on the following links for reference purposes: Pouch, Pouch, pouch. On the right I have test fitted it along with the other pouches, to see how it fits as well as how much adjustment I would need to make to it. 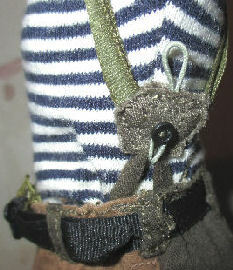 Which I have had to do, to both the strap around the leg, as well as the loop that allows the belt to go through it. In the pictures below I have been test fitting the pouches to see how they fit onto the belt, this took a bit of working out as I had to separate the belt from the padding strap. And then work out where I wanted to pouches to sit, then I had to put the pouch back straps in place. thread the belt though them as well as the loops on the padding strap. I tried to assemble the pouches I think twice, until I realised that the big pouch in the centre had to be in line with the rear webbing harness. 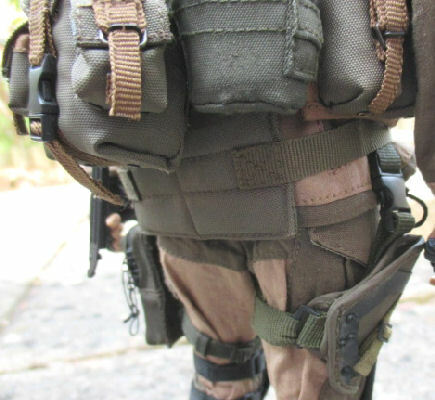 So that I could then work out the spacing on the belt padding strap for the other pouches, which also allowed me to fit the medic pouch and holster top straps in place. 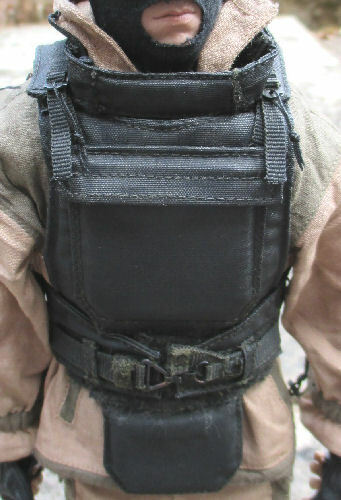 Plus I could get the main belt buckle in the centre on the front of the figure. 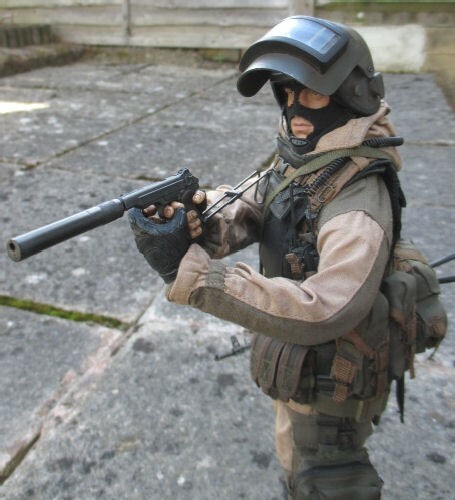 The figure comes with a Black leg holster and Stetchkin APS pistol, but for the pose I wanted I have changed it for the DAM Beslan Green Stetchkin APB pistol and holster. 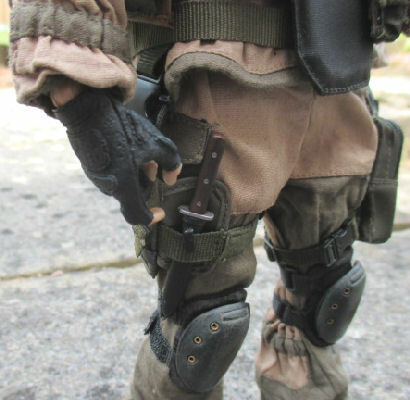 As this particular pistol comes with a wire stock and silencer, this looks better for the idea I have for the figure's pose. 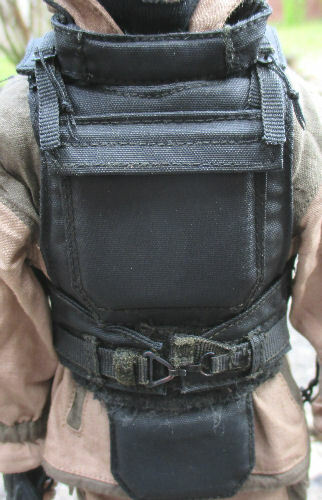 The main straps were repainted an Olive colour and like the other cloth items, the holster was given a Brown pastel wash as well as a highlight of some Tamiya Light Sand weathering powder. The pistol above was also given a wash of Black acrylic paint, and when it dried I gave it a light drybrush of some Gunmetal and Silver weathering powders. I also paid attention to the middle of the silencer, which was given a heavy drybrush of Soot to look like the original paint, with the Gunmetal powder at each end to simulate wear. 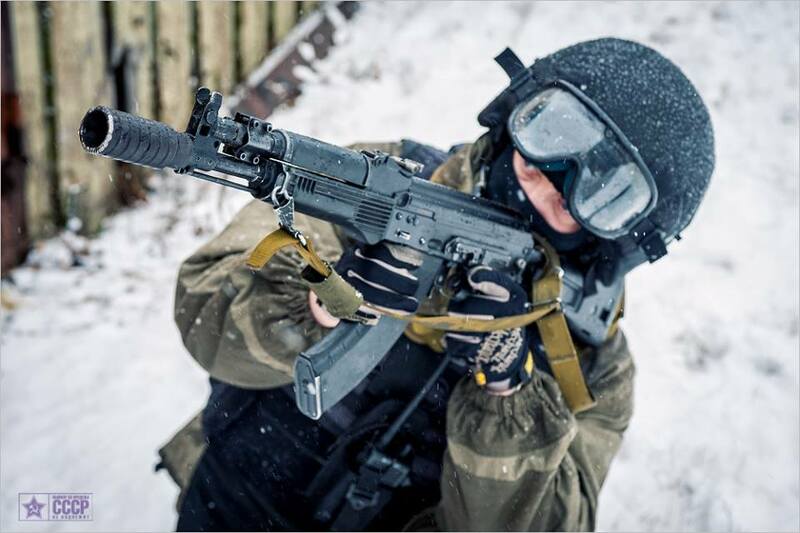 The main weapon that is supplied with the boxed figure is an AKS-74 assault rifle, with a side mount for the small sight on top of the rifle. 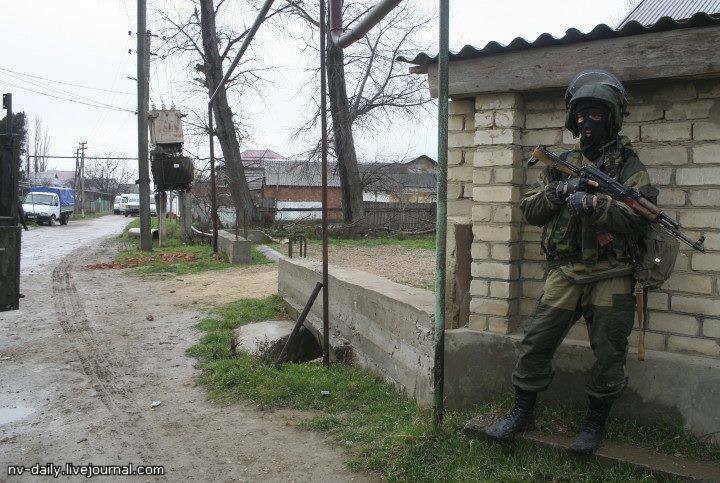 But as I wanted something different, I bought a DAM Beslan PSO-1 optical sniper sight loose to fit to the rifle instead. I first gave the rifle a wash of some Black acrylic paint to add depth to it, once this had dried I gave the black parts a drybrush with Tamiya Soot weathering powder to add a matt finish to them. I then gave it a light drybrush of some Tamiya Gunmetal and Silver weathering powders, to add highlights to the edges. I also gave the sling a wash of the Black acrylic paint to darken it off. 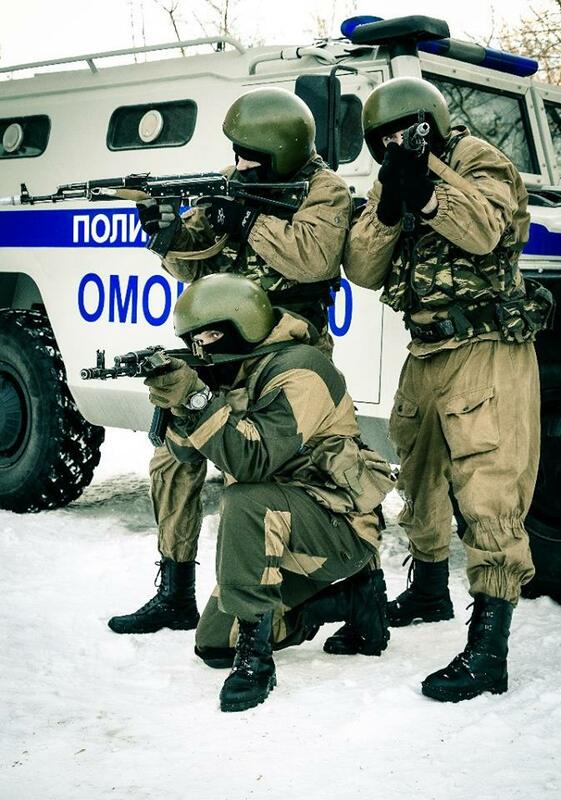 Thank you to Scimitar for all of the help I have had with my Spetsnaz figures. Thank you to Scimitar Mcmlxv for the help I have had with the Black Korund armour vest.. 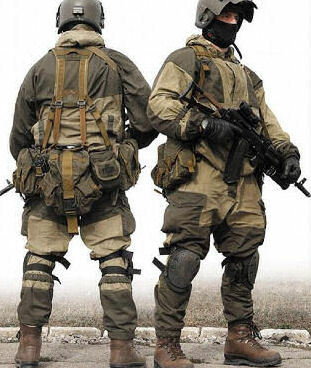 Thank you to dantte for the information about the leg pouch. 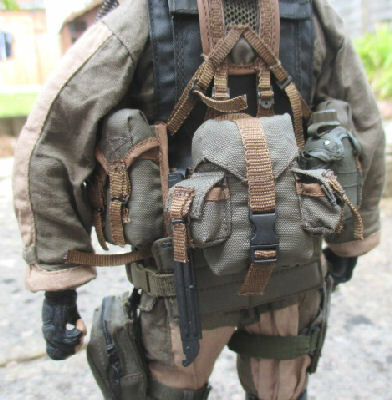 Thank you to everyone on the Onsixthscale website, for an excellent step by step review of the boxed figure..